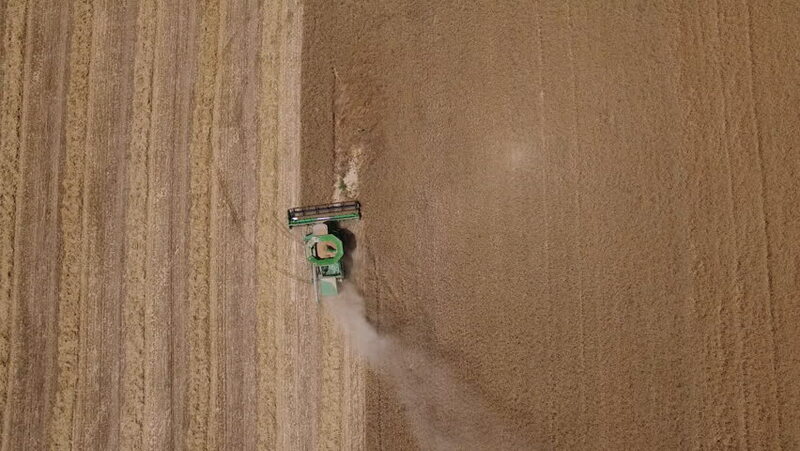 4k00:20Aerial view of the the tractor harrowing the large brown field. aerial view of harvest fields with tractor. 4K. RAW. 4k00:42Aerial view of the red tractor plow a ground. The tractor rides in the field. Red tractor with plows. 4k00:16Aerial view: large green combine harvesting wheat on the golden field. Flying directly above combine and moving down. Top view of agriculture scene. The dust is flying from the combine. 4k00:20Top view of Mars Global Surveyor in orbit above Cebrenia Region. Clip is reversible and can be rotated 180 degrees.